This game is getting slammed so badly on Metacritic. Users are saying that the game is too short and they’re not fond of the quick time events. I’d argue that The Order’s current mix of cutscenes vs. gameplay is fine… there just isn’t enough of it. If Ready at Dawn would have added 2 or 3 more hours of campaign and put in even a generic deathmatch/objective multiplayer, then I bet this game would be getting 8s and 9s across the board. I feel bad for the developers because they must have run out of time and had to cut a lot of story off the tail end. It shows because there are a few significant plot threads left dangling and that was the most frustrating part for me. This game is still worth a quick playthrough when you can get around to renting it or picking it up (at maybe $30 or so). It looks and sounds great. The environment and atmosphere are something fresh and seem really well thought out. Normally, I don’t really enjoy steampunk too much but The Order does it tactfully and doesn’t beat you over the head with it. The characters were very likeable (or “hateable” where appropriate). There were a few heart-string pulling moments too. Overall, everything is solid here minus the total length. Funny enough, this game has a time slowing “bullet time” mechanic that I didn’t even pay attention to until after I beat the game. Oh well. If a sequel is made I bet it becomes a hit just because there is so much potential here. It just needs way more content and a few gameplay tweaks as everything else is more than fine (environment, visuals, voice acting, controls, etc.). A lot of series started this way for me: Uncharted, Assassin’s Creed, Gears of War. Assassin’s Creed specifically was an incredibly boring and repetitive game but the second one is one of my favorites ever. They took what was a solid template and expanded upon it so much. I was pulled in by The Order enough to know they can do the same. The trophy list is fairly short which was nice. I love when I can play a game without a guide and not have to worry about missables. You can technically miss items in this game but the chapter select is so detailed you can damn near spawn in any room for collectibles. I spent about 7-8 hours on campaign annoyingly looking around every corner. 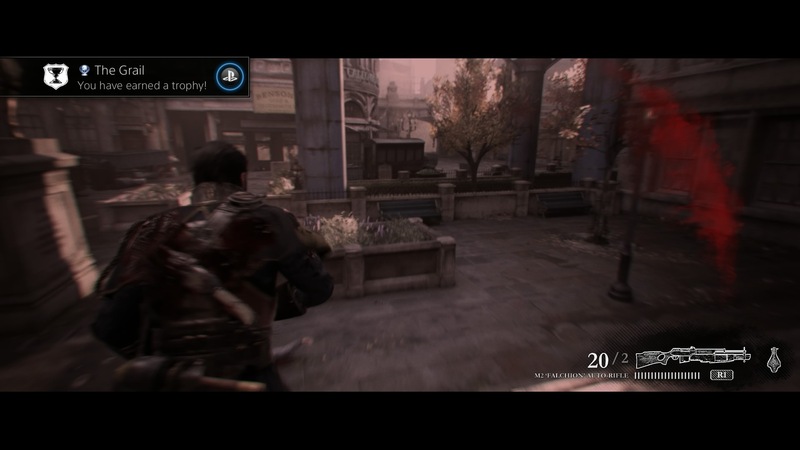 Then I only needed an additional hour or so to clean up the remaining trophies I hadn’t gotten. More like The BOREder: 1886! I’m hilarious. I’d better post that one to Metacritic. I agree that even a couple of hours more of gameplay, meshed with an hour or so of the cinimatics they were so keen on using and it would have been more favourably received. I was so annoyed that it contained so many cutscenes, yet so little exposition or resolutions to the overarching story!